Around 750,000 babies are born each year in England, Scotland and Wales, and of these nearly 105,000 or around 1 in 7, will require specialist neonatal care. The National Neonatal Audit Programme (NNAP) uses routinely collected data to support quality improvement in neonatal units of all types. 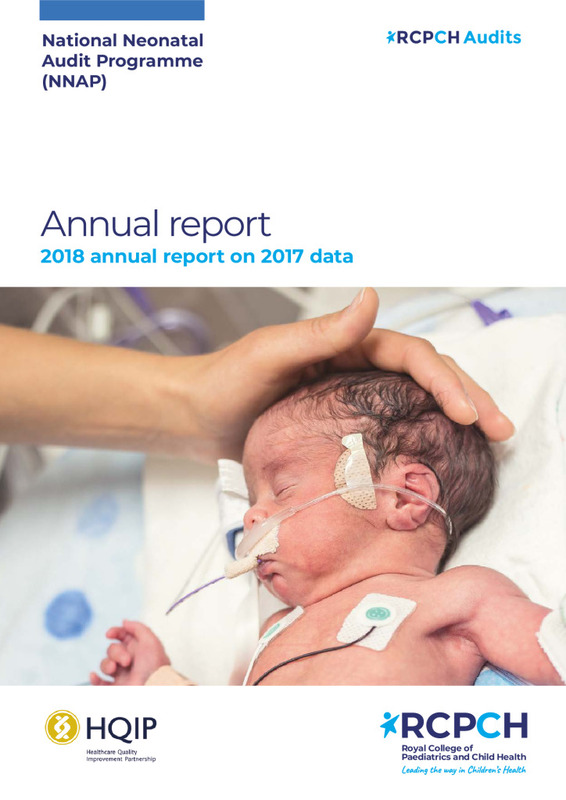 The National Neonatal Audit 2018 Annual Report on 2017 data published by the Royal College of Paediatrics and Child Health (RCPCH) shows key achievements made in neonatal care for preterm babies in England, Scotland and Wales. The report contains key findings and selected recommendations for quality improvement of neonatal care going forward. A number of audit measures have demonstrated progress including more very preterm babies being admitted to neonatal units with a normal temperature; and rates of magnesium sulphate administration to mothers at risk of very preterm birth significantly increasing. In addition, for the first time in 2017 the NNAP reported on new measures focused on parental partnership in care which looks at minimising separation of mother and baby and the presence of parents on consultant ward rounds.